I almost can’t even call this one an upcycle because I am still using it as it was meant to be used. I only added a little twist. Here is a picture frame I picked up at a thrift store a while back. I paid a whopping 50 cents for it. 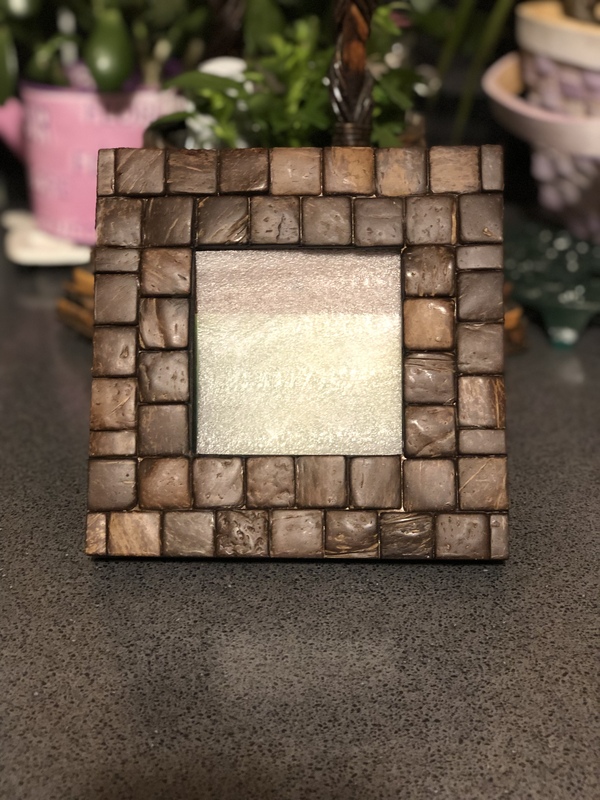 I liked the fact it wasn’t smooth and that it looked like wood tiles (the frame is not wood). 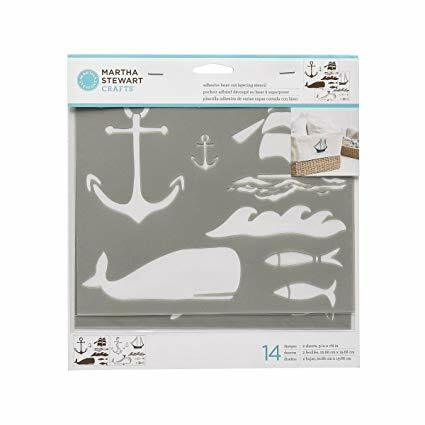 I bought the Martha Stewart Nautical layering stencils # 17635 from Michael’s and got the idea to stencil the glass part of the frame. I used part of the tall ship stencil (it wouldn’t all fit on the glass). The light blue paint color is called Pale Blue by Craft Smart, I bought it from Michael’s and the dark blue – Navy is from my stash by Dixie Belle – I used it on the upcycled thrift store tray – check that out here. I didn’t bother to seal the imagine in case I decide to change or reuse the frame for something else. It’s not perfect but I like it. Did you notice the difference in the frame from the first picture? I found the dark brown too stark against the ship so I decided to whitewash the frame. I literally took a really small dab of white acrylic craft paint on a damp stencil brush and scrubbed it into the little blocks. On a few spots it was too much so I wet distressed it before the paint even dried. I used a wet paper towel and literally wiped the areas I thought had too much paint. After it’s photo shoot I put it on my bookcase where it is eagerly awaiting me to finish upcycling a floating shelf. 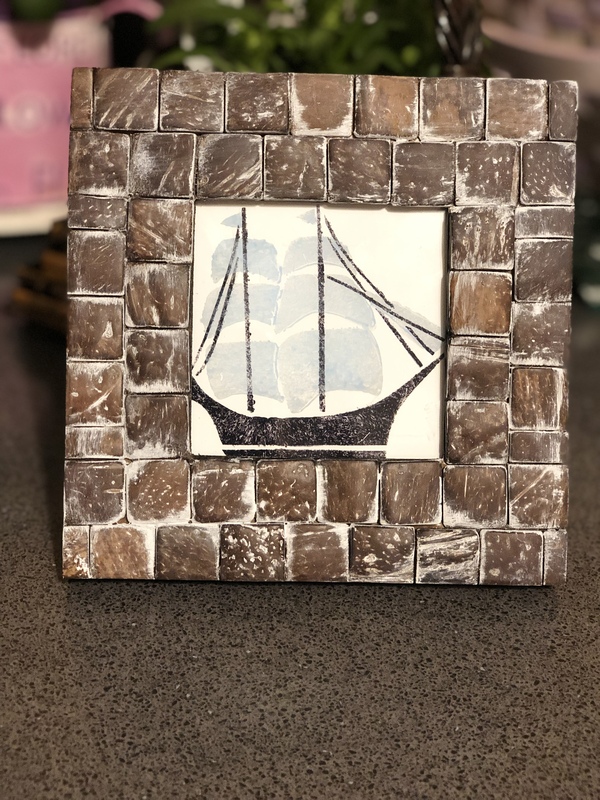 I have a few more thrifted nautical things I will add along with this frame – stay tuned. Enhancing what you already have on hand – It’s A Wandaful Thing! 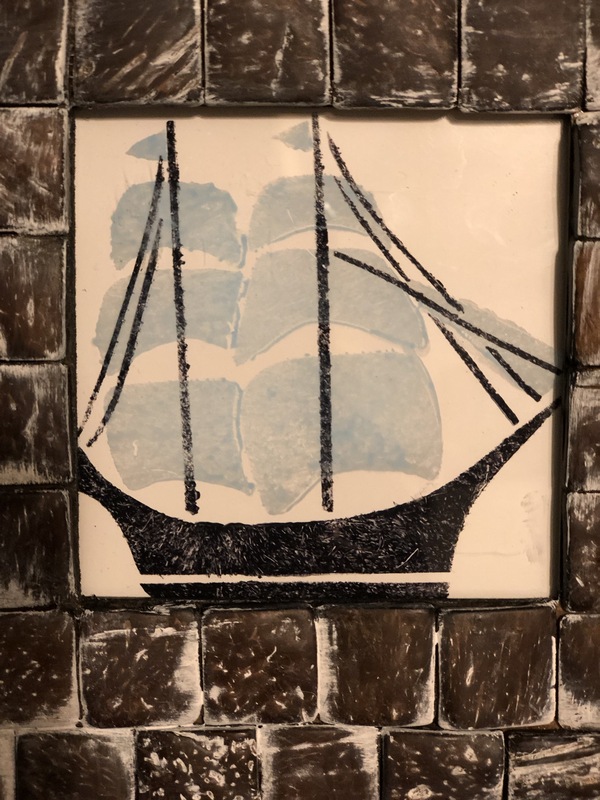 This entry was posted in Decorate, DIY, Make and tagged blue, Decorate, DIY, easy, frame, home, ideas, inexpensive, living, nautical, navy, paint, recycle, repurpose, reuse, ship, stencil, tall ship, thrift store, tile, wood. Bookmark the permalink.